Krissy is a stylist who has been in the beauty industry for seven years. She graduated from National Academy of Beauty Arts. 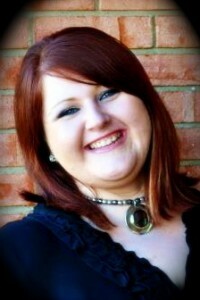 She has been at Frederick’s since January 2013 and helps out with all aspects of the salon! She specializes in nails, all over color and highlights and she loves how new styles are constantly evolving. Her go to product is Kenra Hairspray. Outside of work, Krissy spends time with family and friends, enjoying some of the fine cuisine from Texas Roadhouse and makes custom jewelry.